We do video production, photography, and music production. We recognize the power of a strong narrative and strive for creative excellence in whatever kind of project the client needs. 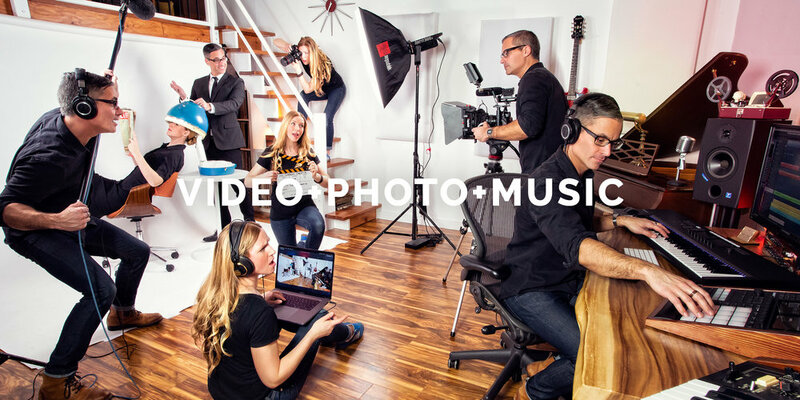 From promotional business videos to commercials and short films, we can help tell your story. We have stabilizers, 4k cameras, sliders, drones and action cameras that help tell your story without getting in the way. We do all of the post production in-house as well, from sound design to custom music. We specialize in photos that require a unique flare. We use flashes and lights to tell a story that is a little larger than life. Contact us for any kind of promotional or commercial photography. Music composition of any genre for any purpose. State of the art software used to enhance your story. Sound design and audio production for video or spoken word. The Paterfamilias, the photographer, the videographer, the musician and sound engineer. The Materfamilias, the photographer, the videographer, the editor, the director.